CSKA Moscow started the 2012-13 Turkish Airlines Euroleague Top 16 in style by downing Anadolu Efes Istanbul 90-71 in the Russian capital on Friday. CSKA used a great second half to get its first win in Group E and grab its sixth straight triumph, handing Efes its third consecutive loss. Sonny Weems and Nenad Krstic led the winners with 22 points apiece. Viktor Khryapa, Dionte Christmas and Milos Teodosic added 11 each for CSKA. 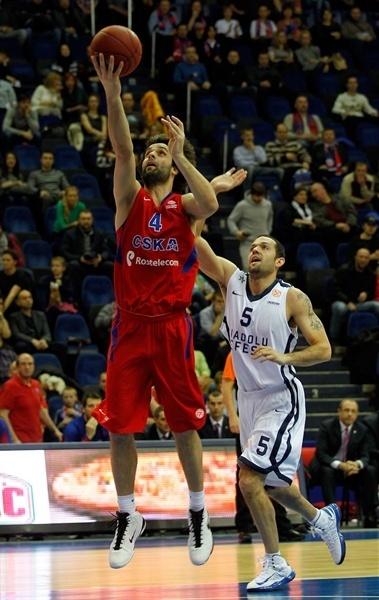 Former Theodoros Papaloukas also made his Euroleague return for CSKA. Jordan Farmar led Efes with 24 points and 6 assists but none of his teammates scored in double digits. Both teams combined for 8-of-8 three-point shots in the opening six minutes. Teodosic and Krstic allowed CSKA to get a 25-24 edge after 10 minutes. Farmar took over in the second quarter and got some help from Sasha Vujacic to tie the game, 42-42, at halftime. 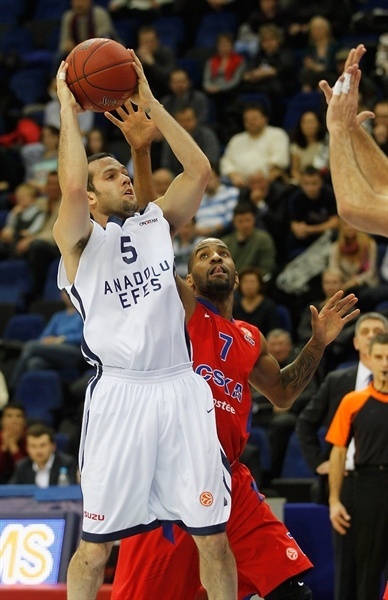 A three-pointer by Savanovic gave Efes its last lead, 54-56, late in the third quarter. It didn't last long as Krstic and Weems combined for 17 points in a 19-2 run that broke the game open, 73-58, allowing CSKA to keep full control of the game from that moment until the final buzzer. Josh Shipp got Efes going with a three-pointer from the top of the key. Teodosic quickly answered with a layup in transition and Sonny Weems added a mid-range jumper for a 4-3 CSKA lead. Farmar struck from downtown and after Christmas joined the three-point shootout, Farmar sank another triple to keep Efes ahead, 8-9. Christmas buried a jumper only to see Sasha Vujacic hit one from beyond the arc. Viktor Khryapa nailed a three of his own before a fast break layup by Dusko Savanovic put Efes back ahead, 13-14. Farmar scored in penetration, but Teodosic sank back-to-back three-pointers for a 19-16 CSKA lead. After Sasha Kaun shined with a power layup, Farmar nailed a stop-and-pop jumper and a fast break dunk by Savanovic kept Efes within 21-20. 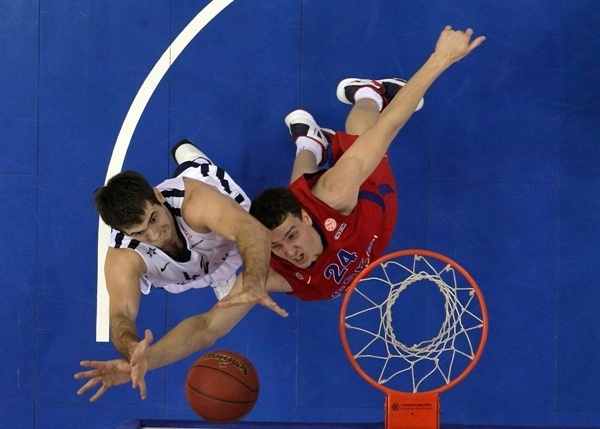 Krstic downed a mid-range jumper and Vladimir Micov hit a driving shot for a 5-point CSKA lead. A jump hook by Stanko Barac and a tip-in by Kerem Gonlum brought Efes within 25-24 at the end of an extraordinary first quarter. Papaloukas was rewarded with a big ovation when he stepped on court at the start of the second quarter. Khryapa hit his second three-pointer and a turnaround jumper by Krstic gave CSKA some fresh air at 30-24. Barac stepped up with a tip-in, but Khryapa matched it with a backdoor basket and Teodosic ignited the crowd with a catch-and-shoot triple that forced Efes to call timeout at 35-26. Farmar shined with a wild driving layup and Gonlum added a fast break basket to bring Efes back to life, 35-30. Krstic took over with a huge three-point play only to see Barac and Vujacic bring the guests even closer, 38-34. Kaun provided a highlight with a one-handed slam off a spin move. Barac matched him with a five-meter jumper. Farmar kept pacing Efes with a coast-to-coast layup that made it a two-point game. Weems made free throws, but a follow-up layup by Shipp and a fast break basket by Farmar tied the game, 42-42, at halftime. Semih Erden hit a jump hook immediately after the break that Kaun matched with free throws. Erden continued to fuel Efes with a put-back basket, but Christmas struck twice from downtown to put CSKA back ahead, 50-46. Farmar stepped up with a mid-range jumper, but didn't find much help around, as CSKA had improved its defense and was not allowing open shots. CSKA struggled to score, however, and free throws by Shipp and Erden saw Efes regain the lead, 50-51. CSKA called timeout and Erden downed a jump hook, but Krstic kept the hosts within 52-53. 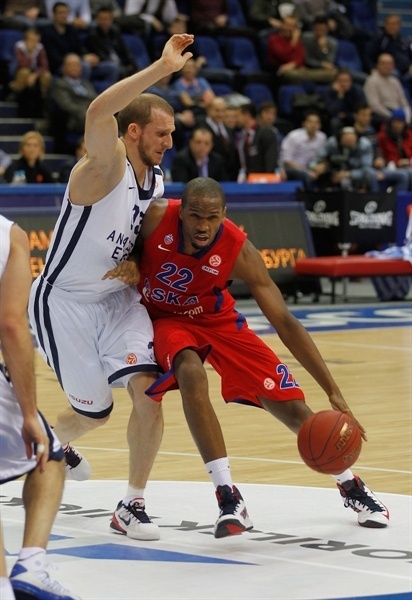 Weems nailed a step-back jumper, however Savanovic banked in a three-pointer for a 54-56 Efes margin. 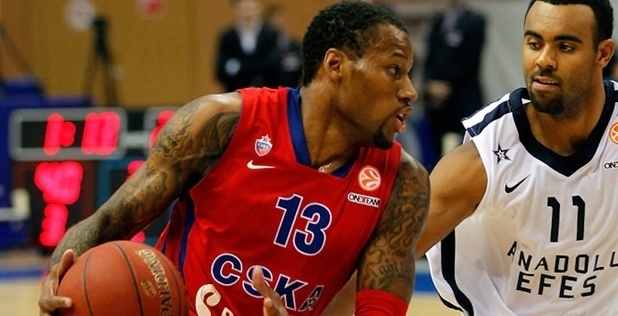 Krstic hit free throws and Weems struck from downtown to give CSKA a 59-56 edge. Micov swished a baseline jumper and a hook shot by Krstic boosted the hosts' lead to 63-57. A free throw by Erden fixed the score at 63-58 after 30 minutes. Weems buried a three-pointer early in the fourth quarter and a jump hook by Krstic made it a double-digit game, 68-58, with over eight minutes to go. 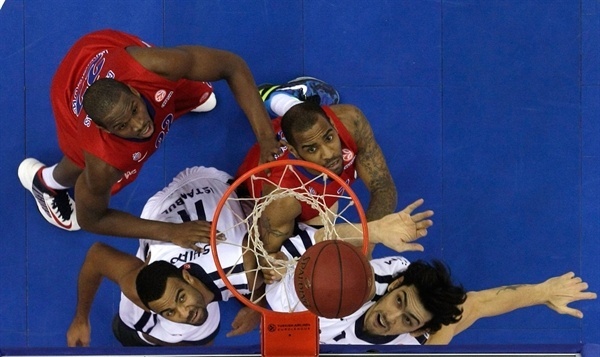 Efes needed a quick comeback to keep its options alive, but the guests could not find the way to the basket. Weems sank free throws and followed them with a catch-and-shoot triple that broke the game open, 73-58, after a 19-2 run. Vujacic and Aaron Jackson traded foul shots and a jumper by an unstoppable Weems sealed the outcome, 77-61, midway through the fourth quarter. Both teams now fought for point differential, which would be a critical issue in the long run if both teams tied at the end of the Top 16. Weems sank a huge triple and Khryapa copied him right after that. Even though Farmar kept trying, everything was said and done already - CSKA had cruised to a well-deserved win and Efes returns home knowing it can compete for big goals with more consistency. 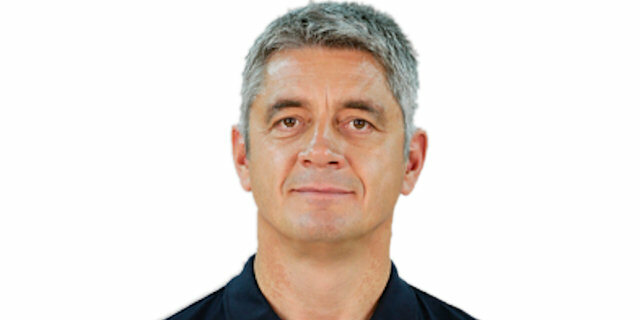 "I'd like to congratulate Efes for the good game they played. We knew that all is reset in Top 16. When we qualified, we played some up-and-down games and now we are starting anew. My congratulations to our players. They were very patient even after some turnovers and under good defense by opponents under the basket. Our team played smart, unselfish and disciplined enough to find Weems and Krstic who stepped up tonight. Besides Jackson did an excellent defensive job on Farmar in the second half. It is important that we won with a big margin, which will help us in the standings." "I think the result showed the real picture of what we had on the floor. We played good for three quarters, but after that we missed a couple of times from under the basket and we got two three-pointers in return. In these moments CSKA broke our game down."